The government promotes the move towards reliance from coal power to cleaner natural gas. WWF-Hong Kong approves of cleaner energy too. But get the gas from the mega LNG facilities in Dapeng, Shenzhen. 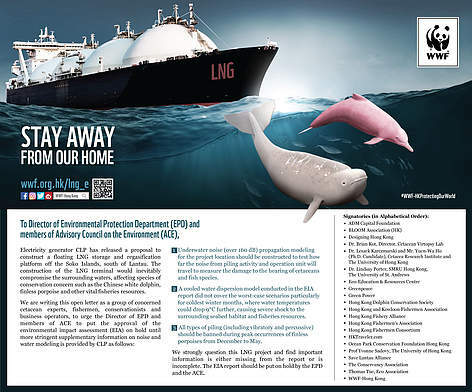 There’s no need for a risky LNG platform near endangered marine mammals and their habitats. CLP says Hong Kong doesn’t have the land to generate 1% of total electricity with renewables like solar power. WWF-Hong Kong begs to differ. The city can generate 10% of the total with solar using just its reservoirs. In other words, zero land. And what about habitat-friendly off-shore wind power? If Hong Kong wants clean energy, then CLP should come clean. Stop trying to mess with our marine ecology. CLP says the three LNG pipelines from the mainland China put us at risk of supply disruption if there’s another tragedy like the Shenzhen landslide (Google it). 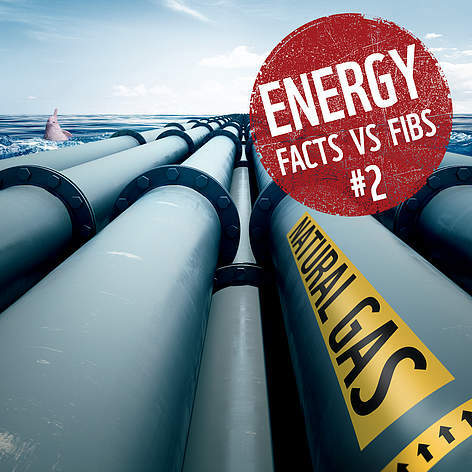 But aren’t all pipelines vulnerable – including the proposed new facility which will pump its gas into the local energy network, uh you guessed it, by pipeline? We can achieve energy security from the existing Shenzhen LNG terminal (by pipeline). Lowering the risk to our sensitive marine habitats and endangered species. Hey, that’s a risk worth taking. CLP says the facility will allow them to import LNG more directly from the global market at world prices benefitting everyone. Um. Can CLP please share the prices it currently pays for existing sources of gas and tell us please how consumers will benefit? We can access world markets now, from up north at the Shenzhen LNG terminal. That way our sensitive marine habitats and endangered cetaceans would benefit more directly too. WWF-Hong Kong guesses the commercial appeal of this investment is because the billions invested will make a guaranteed return of 8% under the scheme of control with government (it’s complicated). Ka ching! By the way, Hong Kong’s electricity users (that’s you) will pay the bill whether or not we use the gas facility. Our dolphins and porpoises will pay with their lives. 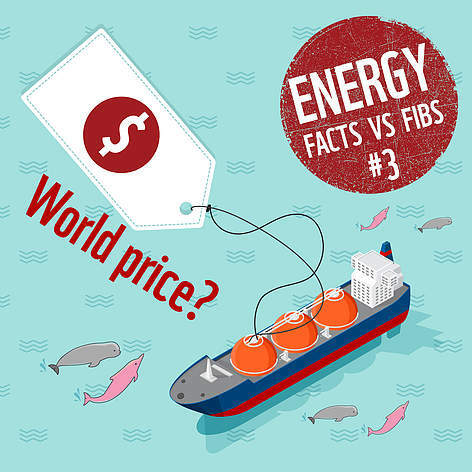 The power companies should stop messing with our precious marine ecology! Click louder, I can’t hear you. Piling will be so loud these mammals will be essentially “blinded” as they use echolocation (using clicks and whistles) to feed and socialize. CLP says the mammals will just “stay away” from the area during construction. Yes, perhaps in the busy shipping lanes nearby where they risk collision with passing marine traffic. Hong Kong needs sustainable options managing its natural spaces. It’s cool. But that’s bad. The discharged water from the facility will be nine degrees cooler than the surrounding temperature. Brrr. 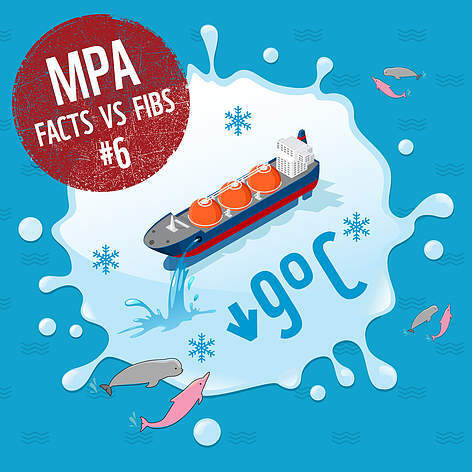 There’s no way of knowing how this temperature change will hit dolphins, porpoises and fish species. Why? 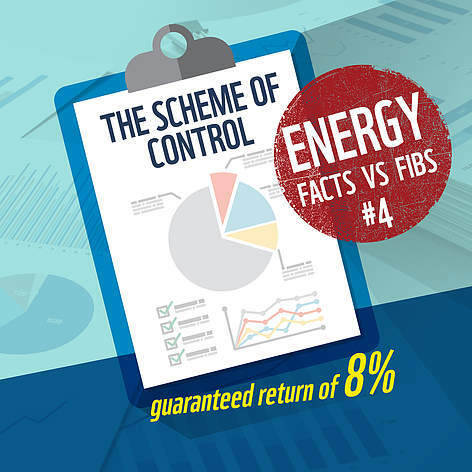 The modeling in the EIA study was not conducted based on worst case scenarios. 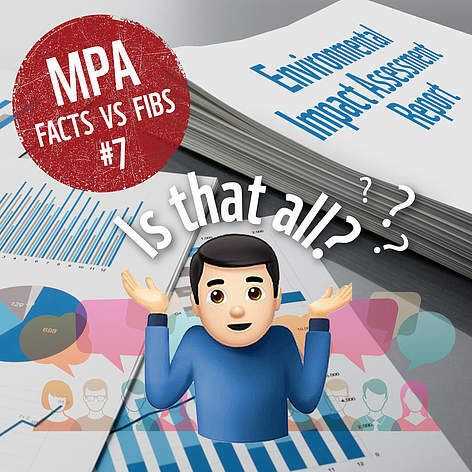 An impact assessment should not be approved until proper studies are complete. CLP says it is aware construction will be noisy undersea. But there is a huge gap in our knowledge about how far the noise will spread during construction since there was no proper study. 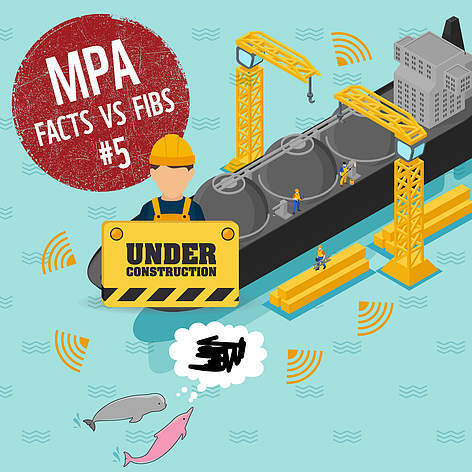 WWF-Hong Kong demands credible noise modelling before this misguided and misplaced project goes forward. 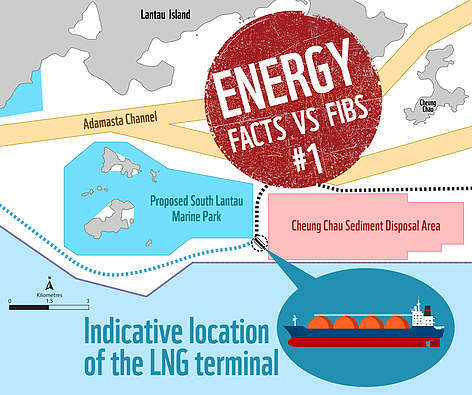 Hong Kong is off course with LNG boats. WWF notes, with shock, views from the Chief Executive favouring reclamation to solve Hong Kong’s chronic land/housing shortage. Hong Kong has more than enough land for housing on its brownfield sites. Hong Kong doesn’t need more threats to its marine environment by reclamation, it needs a government that can assemble readily available brownfields for housing. The LNG terminal will operate 24-7, 365 days a year. Substantial amounts of warm seawater will be sucked into the machine to warm up the LNG, along with any fish, larvae and eggs in the area, especially at peak spawning seasons in December, March and May. 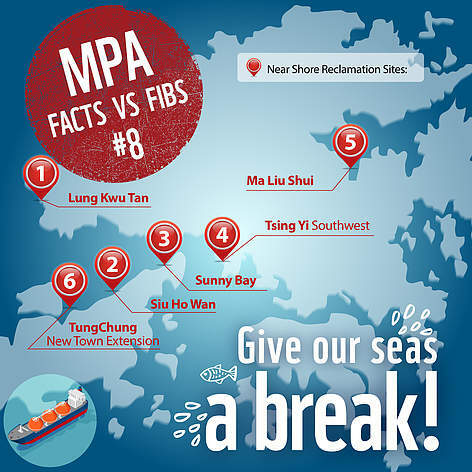 Hong Kong is off course with LNG boats, stay away from MPAs. 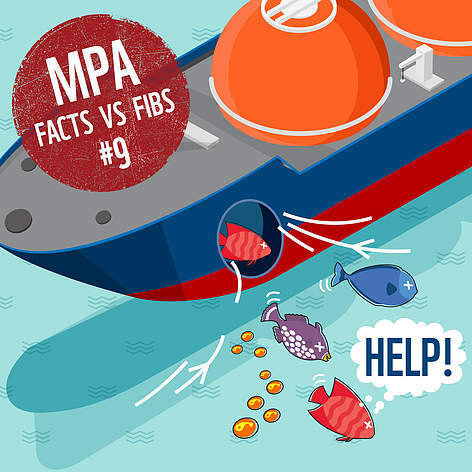 A group of concerned experts, fishermen, conservationists and business operators issued a joint letter urging CLP to provide more information before the government approves this flawed EIA!